Solubility Before reconstitution, we recommend a brief spin to drive down any material dislodged from the bottom of the tube. The compound is soluble in DMSO. HPLC Analysis Greater than 98% as determined by LC/MS analysis. LC/MS and/or NMR data available upon request. 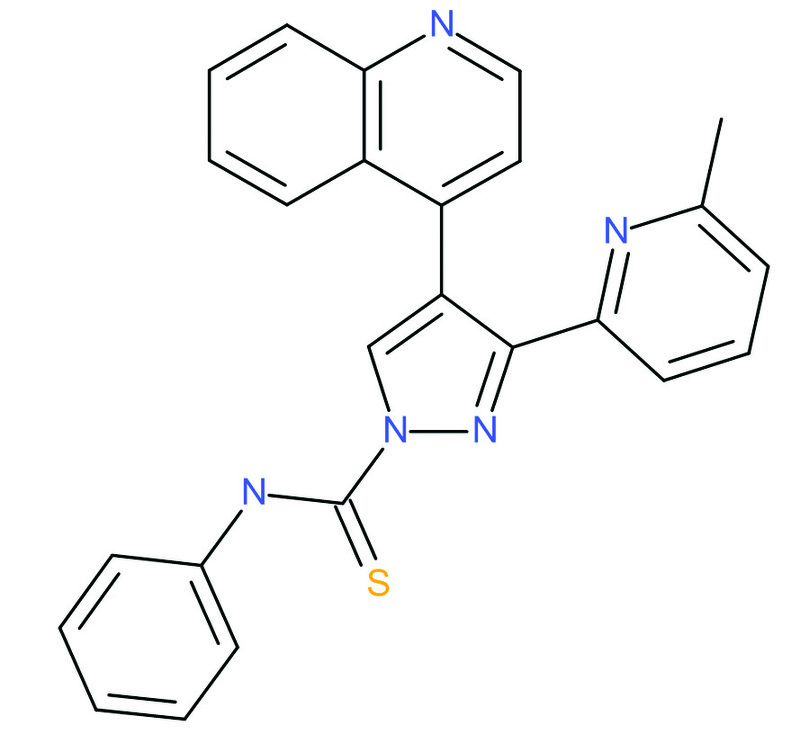 A selective inhibitor of ALK-4 (Activin/Nodal receptor), ALK-5 (TGF-type I receptor), and ALK-7 (nodal receptor). Only weakly inhibits ALK-1, -2, -3, and -6. Ref: Tojo, M., et al. The ALK-5 inhibitor A-83-01 inhibits Smad signaling and epithelial-to-mesenchymal transition by transforming growth factor-beta. Cancer Sci. 96: 791-800, 2005.